An egg-shaped pod made of biodegradable material could change the way we think about death, says its designers Anna Citelli and Raoul Bretzel. Called the “Capsula Mundi”, the pod offers an alternative option to widely practiced burial methods. Capsula Mundi is currently on display at the XXII Triennale in Milan, as part of an exhibition curated by Paola Antonelli, the Senior Curator of Architecture and Design from The Museum of Modern Art in New York. The exhibition, Broken Nature: Design takes on Human Survival explores the threads connecting humans to the environment. How the pod works: departed loved ones are placed inside in the foetal position before buried in the earth. “A tree, chosen in life by the deceased, will be planted on top of it and serve as a memorial for the departed and as a legacy for posterity and the future of our planet,” Citelli and Bretzel explain. The vision, as tree after tree is planted the cemetery will become a forest. “Instead of the cold grey landscape (cemeteries) we see today, they would grow into vibrant woodlands sacred forests. 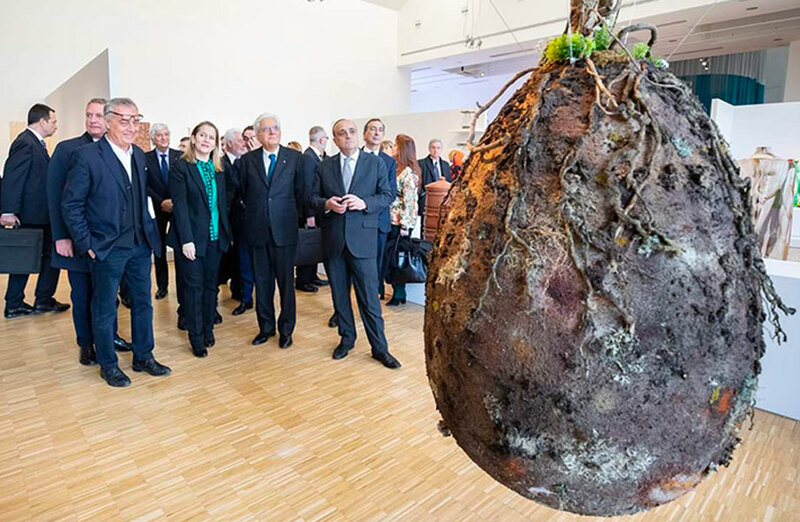 Capsula Mundi on display: Italian President Sergio Mattarella at the XXII Triennale in Milan. In examining the role of designers in today's society the pair were inspired to create the pod. “In a culture far removed from nature, overloaded with objects for the needs of daily life and focused on youth, death is often dealt with as a taboo,” Citelli and Bretzel said. “We believe that this unavoidable passage, so meaningful, is not the end, but the beginning of a way back to nature. 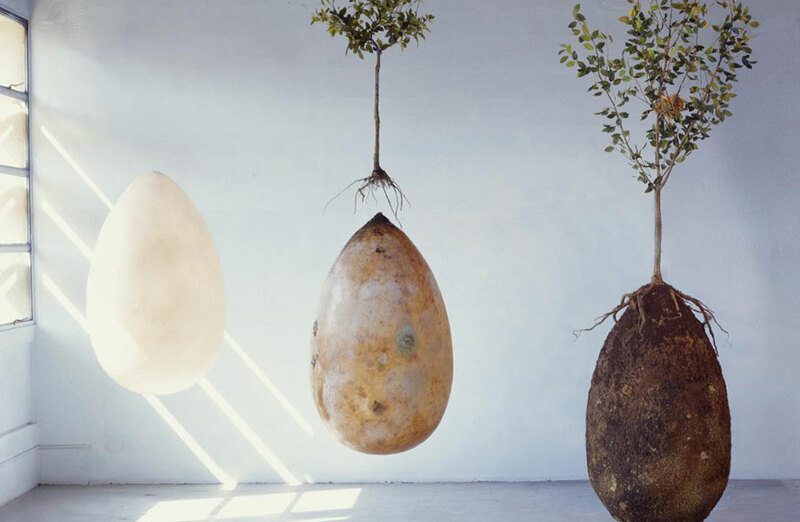 “We decided to redesign the coffin — an object entirely left out of the design world — using ecological materials, and laic and universal life symbols, such as the egg and the tree. A tree takes between 10 and 40 years to reach maturity, while the coffin is generally of use for three days. The Broken Nature exhibition, which spans from March through to September this year, is self described as an in-depth exploration of what connect humans to the natural environment “that have been intensely compromised, if not entirely forgotten”. 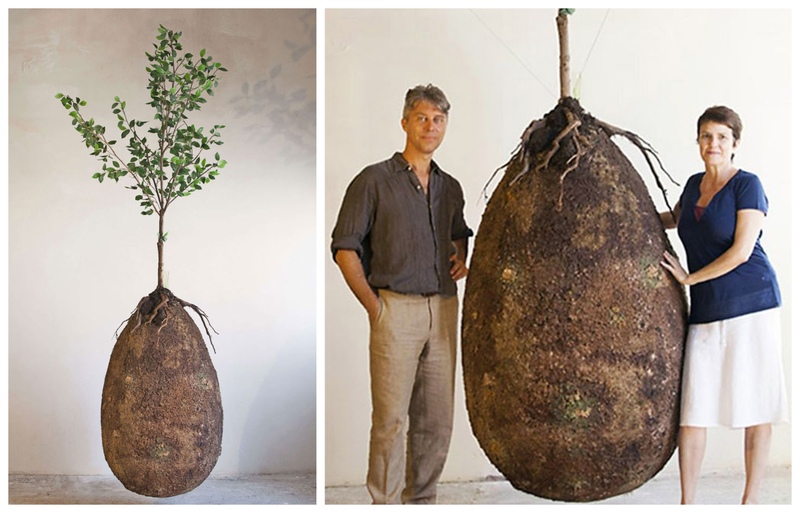 Ashes will be held in small egg-shaped urns while bodies will be laid down in a foetal position in larger pods.